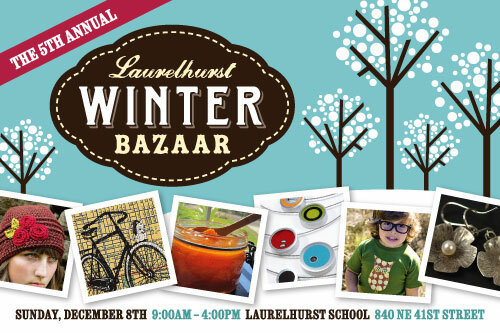 The Annual Laurelhurst Winter Bazaar is coming on December 8th. Sunday, December 8th from 9:00 AM until 4:00 PM at the Laurelhurst School at 840 N.E. 41st Street. This event is a lot of fun, there will be great gift goods from professionals as well as students.